Glucosamine taken as a supplement is used to enhance the body’s own supply of natural glucosamine to repair cartilage. It is a natural compound found in the body made from the amino acids glutamine and glucose; this compound is necessary to create glycosaminoglycan, which is a molecule used to form and repair numerous body tissues including cartilage. 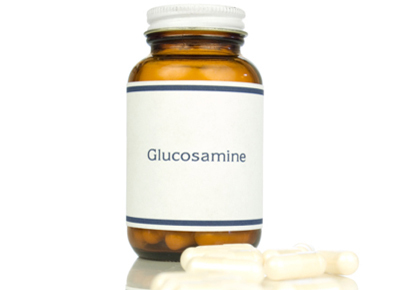 Glucosamine supplements are made from shellfish or other animal tissues and are available as vitamin supplements or as an added ingredient in some sports drinks and other foods or drink items. Chondroitin is frequently added to glucosamine supplements as it is thought to enhance the efficacy of glucosamine. Glucosamine is available in several forms; N-acetyl glucosamine, glucosamine sulfate, and glucosamine hydrochloride. The primary difference between the different types is the additional active ingredients and the way in which they enhance the rate of solubility. Glucosamine is a naturally occurring compound in the body that is crucial to the development and maintenance of healthy cartilage; throughout the aging process, glucosamine production decreases leading to joint pain and osteoarthritis conditions. 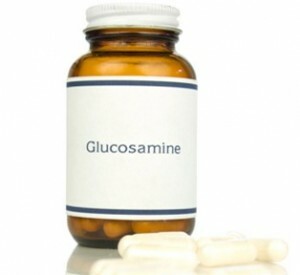 Glucosamine supplements are primarily used for joint pain and osteoarthritis knee conditions however this supplement may also be useful in treating the following conditions; rheumatoid arthritis, certain skin conditions, chronic venous insufficiency, inflammatory bowel disease, and temporomandibular joint disorder. Some research has even cited its use in weight loss and glaucoma treatment.